How is it that the world's most popular fizzy drink reaches even the farthest-flung corners of the planet, yet vast numbers of children in developing countries die for lack of one of the cheapest and most effective preparations known to medical science? The world's second-biggest cause of child mortality, diarrhoea, kills about 1.5 million children every year. Three-quarters of these deaths could be prevented with a simple course of oral rehydration salts (ORS) combined with zinc tablets, at a cost of just US$0.50 per patient. Yet, despite being heavily promoted by the World Health Organization since the 1970s, fewer than 40 percent of child diarrhoea cases in developing countries are treated with ORS. That figure falls below 1 percent when the treatment includes zinc, which reduces not only the duration and severity of diarrhoeal episodes but also the likelihood of subsequent infections. "The challenge is not what to do but how to deliver [ORS] at very high coverage," Abdulai Tinorgah, who heads the UN Children's Fund's Child Survival and Development section in Nairobi, told IRIN. Whereas blanket interventions such as measles immunization, vitamin A supplementation, and bed-net distribution have been scaled up significantly over recent years, "those that have to do with case management have shown much less progress [since 2000]", he said. "Because these require a health system ready and able to respond to individuals when they need care, there are special challenges especially of access, demand generation and logistics," he explained. Social marketing and private-sector initiatives, coupled with better distribution and public information, are among the ways ORS coverage could be increased, said Tinorgah. Almost 30 years after British aid worker Simon Berry first pondered the Coca-Cola conundrum while working in Zambia, he is about to turn the puzzle into an opportunity he hopes will drastically reduce child mortality by adopting some of these strategies. And he wants to do so through commerce, rather than charity, or even, in the long term, through subsidy. Berry has isolated a gap in the market, literally in the spaces between crated Coca-Cola bottles trucked and biked to villages all over the developing world. 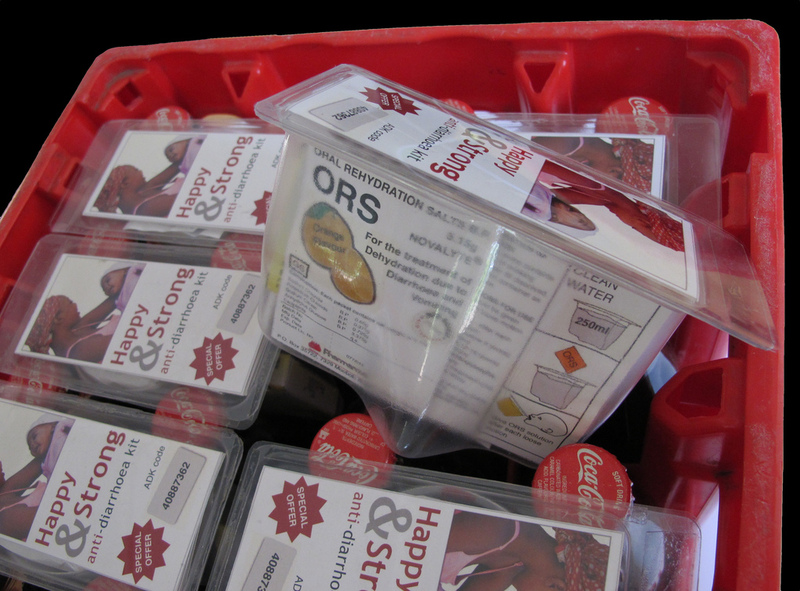 ColaLife's single-dose anti-diarrhoea kits (ADKs) fit 10 to a crate of Coca-Cola bottles and contain eight small sachets of low osmolarity ORS and a 10-tablet course of zinc. In a pilot project set to start in Zambia in September 2012, ColaLife will buy the drugs, package them, and inject them into the supply chain in partnership with Medical Stores Limited, a government agency. ADKs will be sold to Coca-Cola wholesalers, and then on to retailers who transport the crates to their shops, bars and kiosks. Everyone along the line will be entitled to factor in their profit margins. Berry calls it the last mile of the supply chain. "Although it may be the last 10km," he said. But getting the stuff to market is only half the battle, and pointless unless demand, stifled by a lack of supply and low public awareness of ORS's benefits, is significantly stimulated. During the ColaLife pilot, dozens of retailers and promoters, as well as two major wholesalers, will receive training in marketing the kits, while caregivers will get discounts in the form of paper coupons and mobile-phone money transfers. A UNICEF-funded monitoring and evaluation team will keep tabs on the project. Berry has distilled his philosophy into a tweet-friendly soundbite: "You can get any commodity or service to anywhere in the world by creating and sustaining demand & making it profitable to fulfil that demand." For Kate Schroder of Clinton Health Access Initiative (CHAI), a global organization that works to strengthen health systems, this should be done "not through public service announcements but the same way as you would drive demand for Coca-Cola". "If you had a surge in demand, the supply chain would work itself out," she said. In an article published in the British Medical Journal in February, CHAI described scaling-up of ORS+zinc as the "low-hanging fruit" in achieving the fourth Millennium Development Goal: reducing 1990 child mortality rates by two-thirds by 2015. Berry has won plaudits from high places. "ColaLife is exactly the type of new approach that could help accelerate progress and save lives in Zambia and beyond," British International Development Minister Andrew Mitchell told IRIN via email. 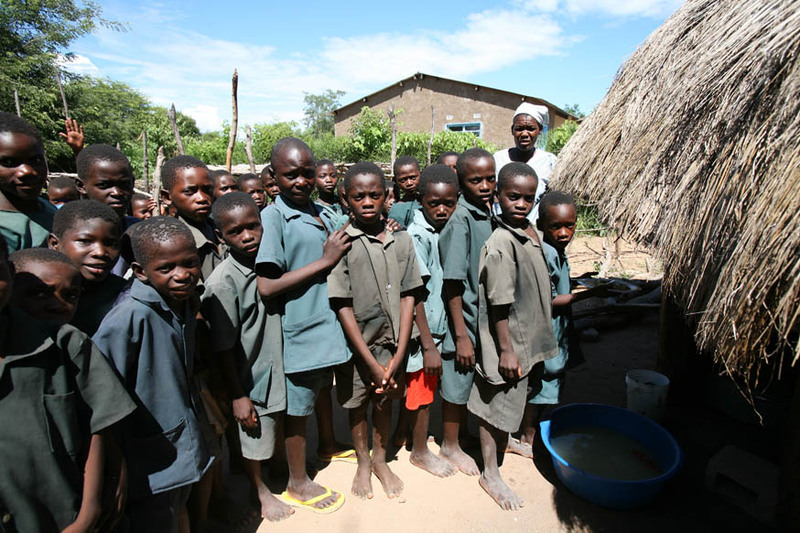 The UK's Department for International Development is providing much of the funding for ColaLife. "British ingenuity with the power of the private sector is a potent mix," Mitchell said. Coca-Cola, meanwhile, is keeping a keen eye on the project. "If it proves successful for all parties, including the distributors, NGOs, government and other beneficiaries, we will certainly be open to engaging our system partners to discuss replicating this model in different markets," said spokesman Sebastian Van Der Vegt. CHAI has also indicated it might work to scale up components Berry's brainwave to a national or even international level, should it work well. Still, as UNICEF's Tinorgah pointed out, increasing ORS uptake is far from the only, or even best, way to stem diarrhoeal deaths. "Interventions in several other areas are critical: water and sanitation programmes promoting hand-washing and household water treatment and safe storage; nutrition programmes promoting Vitamin A supplementation; exclusive breast feeding; measles immunization and in recent years, rotavirus immunization."